11:00am. ESDT. I’m not in the habit of posting on Sunday, but I wanted to let you all know what may be happening in the next few days here on the East Coast. Everyone seems to be scrambling around getting stocked up and filled up while we wait for the onslaught of Hurricane Sandy. I, like everyone else have done the same, so I’m as ready as I can be. In addition to preparing for the storm, I baked yesterday for my father-in-law’s big birthday party which is today. I finally decided to make apple cobbler cupcakes with caramel frosting, which I ‘ll be telling you about real soon. For now though, I want you to know that I have a series of postings lined up to self-publish, however if we lose power for any length of time the internet will go out and you will not be hearing from me. The weather here yesterday and today has been so weird. 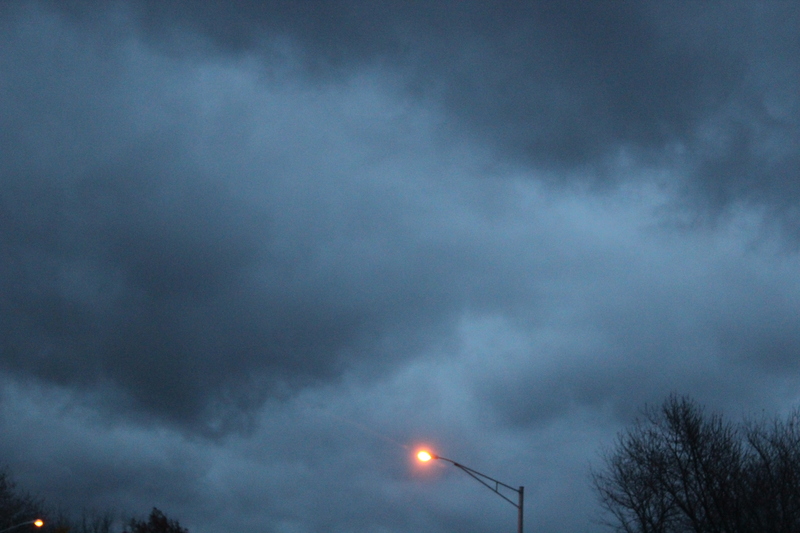 The skies are dark and threatening with hugh dark clouds, but the air is so still; not a leaf is moving. I guess that’s what is meant by the calm before the storm. It is now 7:00pm EDST. and we have returned home from the party. Outside a misty rain is falling and the wind is picking up. 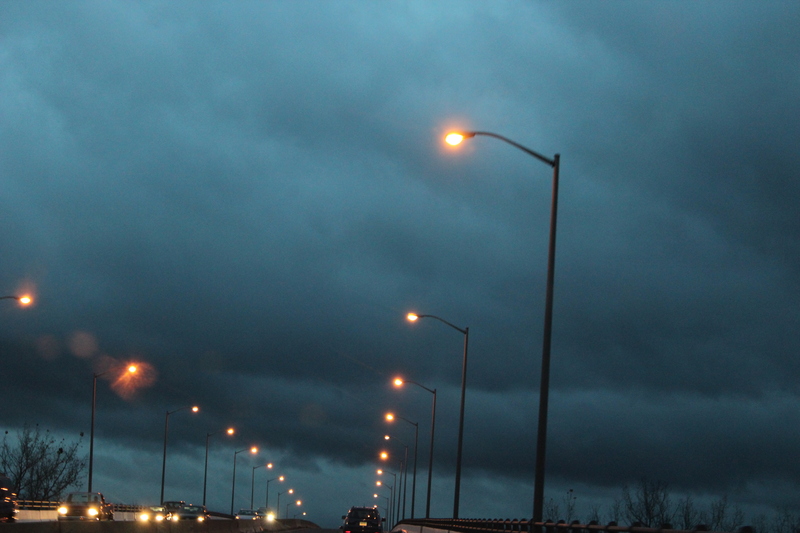 Forecasters tell us to expect the storm to start earlier than previously predicted. 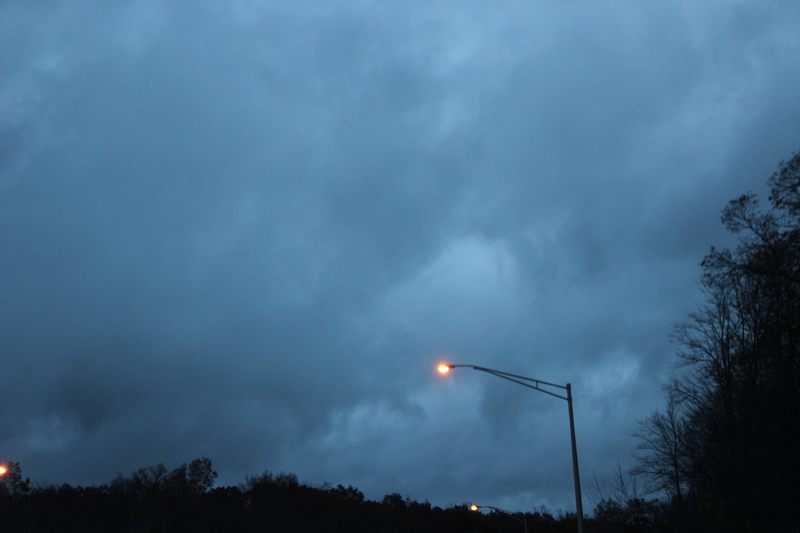 I took some photos of the sky on my way home to share with you. As I close down my computer for the evening I will note that we are expectantly waiting, but hoping things do not get as bad as the weather forecasts are predicting. I hope to be back on line and “talking” with you very soon.